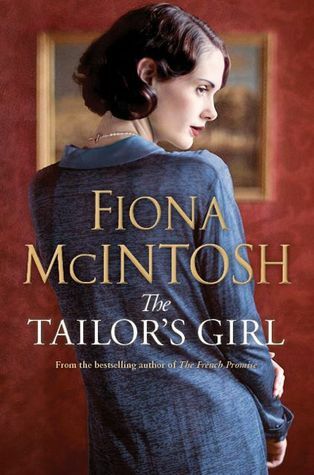 The Tailor’s Girl by Fiona McIntosh is a fantastic story of love both lost and found. It’s 1919, and “Jonesy” can’t remember who he is. He remembers glimpses of his times in the trenches, believing he was in the battle of Ypres, but he has no memory of his life from before the war and cannot remember his name. Feeling helpless and wanting to do something to leave the hospital he’s been recovering in, he enlists the help of the local Tailor’s Girl, Edie Valentine. Edie is an accomplished seamstress and has big dreams of her own. But she falls for the disarming stranger with no memory, and he with her. But their world unravels when Tom (Jonesy) loses his memory of her in a street in London, only to regain those of his past as Alex. Lost and alone, will they find their way back to one another? I finished reading this only moments ago and immediately set about writing this review. The characters in this book were so fantastic, I think I fell in love with most of them, with the exception of one. My heart broke many, many times and I couldn’t put The Tailor’s Girl down until the end. I love it when a book makes me feel disappointed, not because of how it ended, but because it did. That is how I feel about The Tailor’s Girl. This is my first read by Fiona McIntosh, and it most definitely won’t be my last.